In a remarkable turn of events, United States Atty. 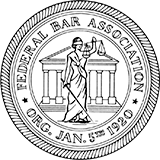 Gen. Eric Holder mentioned in his keynote address at the annual meeting of the American Bar Association in San Francisco that he is ordering a change in Federal Department of Justice policy such that low-level, nonviolent federal drug offenders will not be charged with offenses that impose a mandatory minimum sentence. In his address today, Atty. Gen. Holder called for major changes to our country's federal criminal justice system including scaling back long-term prison sentences for certain drug related federal crimes and diverting low-level drug offenders to treatment and community service programs. He also suggested expanding programs which allow for the release of elderly, nonviolent federal prisoners. Mandatory minimum prison sentences have resulted in an overcrowding of federal prisons throughout the United States. Atty. Gen. Holder acknowledged that the laws in this area have resulted in excess prison terms and have been inappropriately used for nonviolent federal offenders. It was reported that federal prisons are almost 40% above capacity and now house over 200,000 inmates, with over half of those prisoners serving time for drug related crimes. It was acknowledged that many of those prisoners have addictions to drugs or alcohol or other compulsive activities that can be treated. Atty. Gen. Holder stated that mandatory minimum sentences are actually counterproductive and implied that the federal sentences are applied indiscriminately. In a further alarming disclosure, Mr. Holder revealed that between 9 and 10 million prisoners are processed through local jails every year end that there are actually many aspects of our criminal justice system that may actually exacerbate the problem, rather than relieve it. One of these problems is federal mandatory minimum sentences. Several legislators have introduced legislation aimed at giving federal judges more discretion as to whether to apply mandatory minimum sentences to certain federal drug offenses. Atty. Gen. Holder noted that 17 states have diverted money away from prison construction and instead put it towards treatment and supervision programs designed to reduce repeat offenders. Finally Atty. Gen. Holder noted that the Department of Justice is expanding their policy for considering compassionate release of inmates who can show extraordinary or compelling circumstances. If these inmates otherwise pose no threat to the public, did not commit a violent offense and have served a significant portion of their sentence, they will be more likely to be eligible for release. Many attorneys from the San Francisco and Oakland Bay Area and from throughout the United States were in attendance to hear this keynote address by Attorney General Holder. As San Francisco and Oakland Bay-Area federal attorneys, we have seen the impact that mandatory minimum sentences have had in numerous federal court cases. It is essential that the defense attorney representing a client who is facing a mandatory minimum sentence aggressively advocate against the imposition of such a sentence. This can be done by a combination of attacking the government's case and any evidence supporting it, and presenting any mitigating evidence on behalf of the client such as the fact that the client has undergone substance-abuse treatment, has had psychological problems in the past, has had a difficult family life or was a victim of abuse. To learn more, visit my Services section on Drug Trafficking. The San Francisco Chronicle's report on Atty. Gen. Holder's comments can be seen at http://www.sfgate.com/news/politics/article/Holder-proposes-changes-in-criminal-justice-system-4724613.php.